The Western Australian government must stop breaching international laws and standards by locking children in solitary confinement, to ensure children are protected, said Amnesty International today. The organisation called on WA’s government to place a moratorium on holding children in solitary confinement until the state’s laws are amended to prevent children being held in these conditions, in line with international law and standards. The call comes following WA Corrections Minister Fran Logan’s denial that children were held in solitary confinement, despite the contrary being outlined in the recent Office of the Inspector of Custodial Services’ report. Minister Logan also appeared to indicate the government intends to continue holding children in such conditions – a continued breach of international laws and standards. 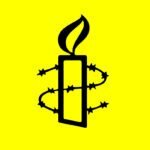 Amnesty International Australia National Director Claire Mallinson said the state’s government must act urgently to amend laws, as recommended by the Office of the Inspector of Custodial Services’ report last week. “The report found the evidence is that the children did not even get one hour out of their cells every 24 hours,” Ms Mallinson said. “The UN Convention On The Rights of The Child, the Convention Against Torture, the Mandela and Havana Rules are clear that this is in breach of international law and standards. “The report found that Banksia Hill did this to the children in its care for 10 days. “It is critical that the Minister commits to complying with international standards and urgently amends WA laws so that the rights of children in custody will be protected. The report recommended the Young Offenders Act and regulations be reviewed to bring the State into line with international standards, which include the UN Convention Against Torture, the UN Convention on the Rights of Child, the United Nations Standard Minimum Rules for the Treatment of Prisoners (the Mandela Rules) and the UN Rules for the Protection of Juveniles Deprived of their Liberty (the Havana Rules). Claire Mallinson paid tribute to the bravery of the young people who spoke out by writing letters from detention outlining their fears and concerns about their treatment, and by giving verbal testimony to the Office of the Inspector of Custodial Services. “Children in prisons in the Northern Territory and Queensland raised concerns for years about abuses, and were ignored by authorities. Only when CCTV footage was released of abuses in those States and Territories were they finally believed,” said Claire Mallinson. Amnesty International’s Freedom of Information request on 14 December last year for CCTV and records kept at Banksia Hill was rejected on 2 August. The rejection is now being investigated by the WA Information Commissioner.